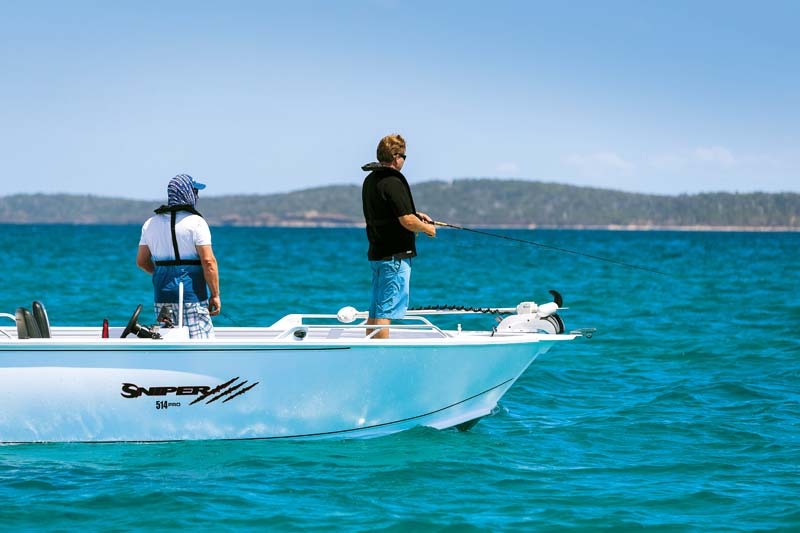 We water test and rate the Anglapro Sniper 514 Pro Side Console, a contender in the aluminium fishing boats category at the 2017 Australia’s Greatest Boats awards. Watch out – this Sniper has you in its sights! 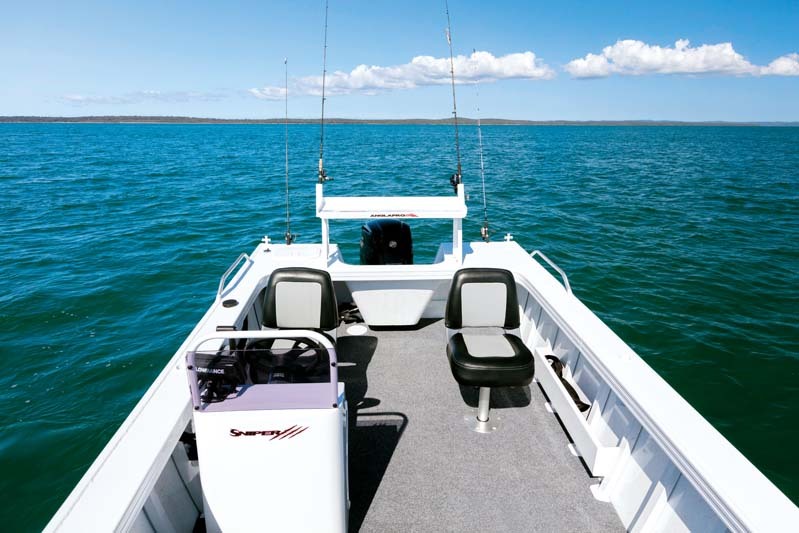 One of the most experienced fishermen among our AGB judges, Steve Starling, made the comment that the Anglapro Sniper 514 Pro Side Console is "a serious offshore fishing boat for anglers chasing snapper, kings and jewfish – a real blood ’n’ guts fishing machine". That sums it up perfectly. When we sighted this bulletproof contender Bear put it to his ‘pub test’. "The pub is generally where the truth ultimately reveals itself," he explained. "Does the Anglapro Sniper 514 Pro Side Console pass? You betcha! Would I buy one? In a heartbeat! Does this Sniper hit its target? Too right it does – it killed it!" 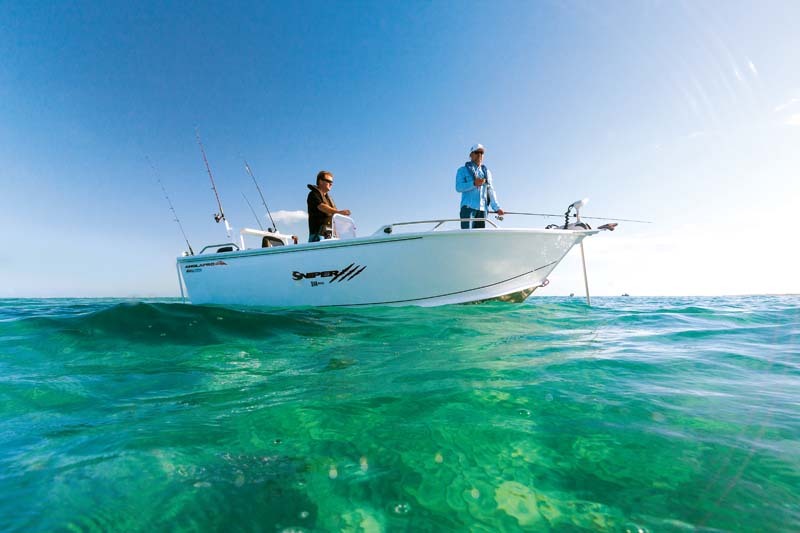 The Anglapro Sniper 514 Pro Side Console is as attuned to chasing pelagic targets in bluewater slush as it is our sweet-water natives – maybe some spotted river foxes in our crystal streams and impoundments, or warding off crocs and rock bars for run-off barra. All of our judges commented on the Sniper’s high-quality finish and the layout, and were impressed by its strength and ride. 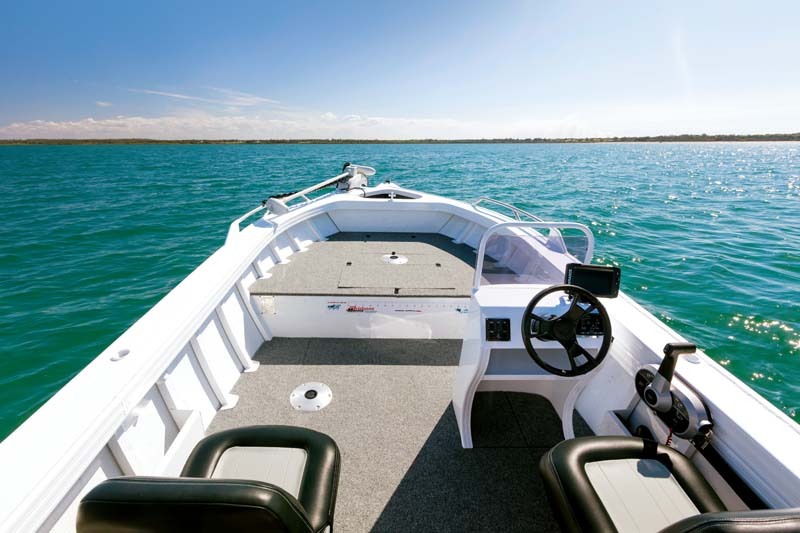 It takes a bit to please Kevin Smith, especially when comparing dedicated sportsfishing machines, yet he declared that "high sides and the 4mm hull take the Anglapro Sniper 514 Pro Side Console to the next level!" They say the perfect boat that suits everyone has and probably will never be made, but the judges saw the Sniper as a terrific package, with all the essentials plus a range of attractive standard features and accessories, yet one that remains a canvas for personalisation. Its simple honesty was reflected by John Ford: "What you see is what you get – a tough all-rounder capable of being optioned as a tournament-winning weapon. 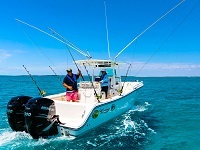 The standard boat is a great base to build a dream boat upon." Value for money is critical in our judging system – many suggest this criterion deserves double points. 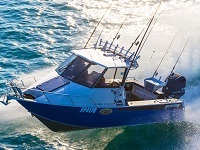 Editor Tim stated: "At $44,000 with bow-mount and 115hp Mercury four-stroke it’s a great deal," while Jo and Steve Starling agreed it is "a great entry-level, full-blooded offshore fishing machine that will get people on the water sooner at a very reasonable price". 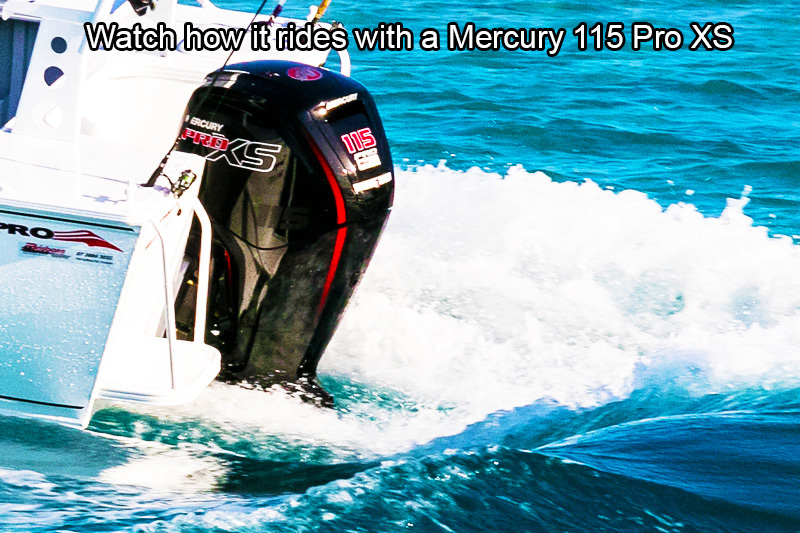 We all loved the Anglapro Sniper 514 Pro Side Console on the water, with its terrific ride and manoeuvrability enhanced by the surefootedness and exceptional grip from the gutsy Mercury 115HP ProXS with hydraulic steering. John Ford said: "The 4mm bottom gives the feeling of a heavier boat. I loved the ride – it’s confidence-inspiring and will travel at full noise safely and with no surprises." And when it’s time for watersports there’s room for the family and the horsepower to pull tubes, skis and boards – and it won’t hurt the back pocket at the bowser either! 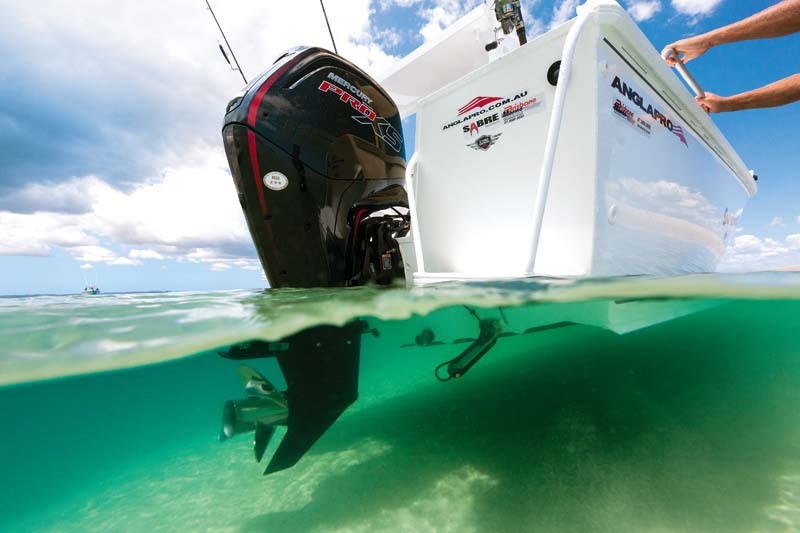 Anglapro Boats has built a superb package and Tim thought the "handling and ride, plus the package price are all super-impressive". With the rugged construction, presentation, design, features and packaging of this tough alloy nugget, its guts, speed and layout will thrill the pants off any keen fisherman. It’s a comprehensive package.